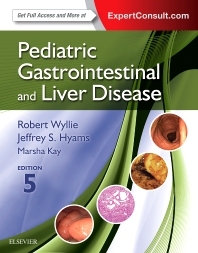 Consult the leading text in the field that delivers the information you need to diagnose and treat pediatric gastrointestinal and liver diseases effectively. In one convenient and comprehensive volume, Drs. Robert Wyllie, Jeffrey S. Hyams, and Marsha Kay provide all the latest details on the most effective new therapies, new drugs, and new techniques in the specialty. In addition, the new two-color design throughout helps you find what you need quickly and easily.